Premium Quality USB to MIDI Converter used to convert Audio Midi information for use on MIDI Keyboard Etc. Connecting your keyboard to a computer has now become a lot less intimidating. 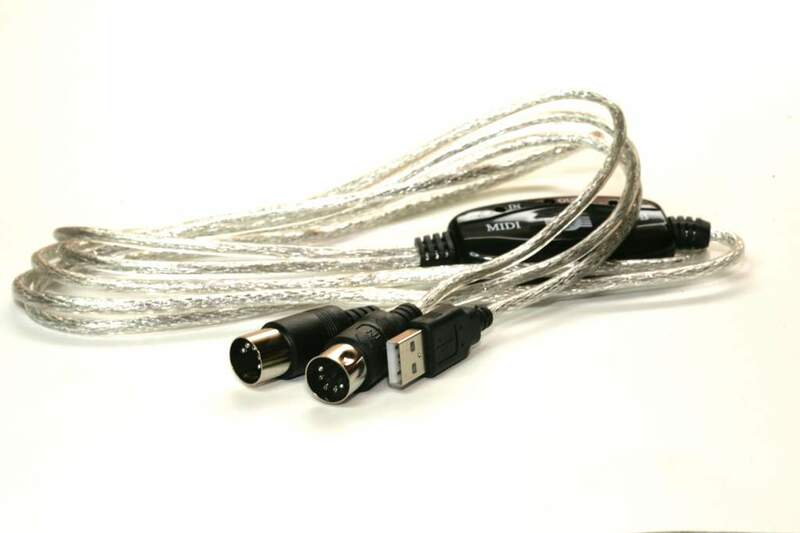 This MIDI/USB converter is a cable that allows you to connect any MIDI keyboard to any computer with a USB port. Expand your creativity by unleashing potentially thousands of sounds, files, and songs. 1-in 1-out MIDI Interface (16x16 MIDI channels. High-speed connection to USB-equipped PC computers. Self-powered -- requires no external power supply.